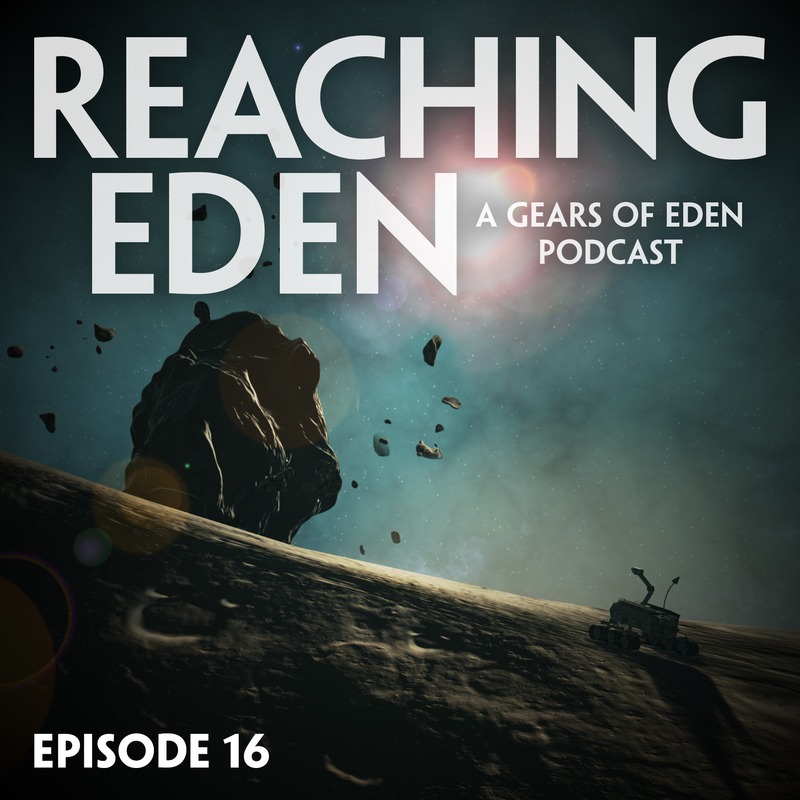 Welcome to Episode 16 of Reaching Eden, the game development and inspiration podcast from the team behind space game, Gears of Eden. In our update segment this week, we talk about our new inventory management system and the ability to swap crafted parts on and off your rover. We also talk about our new trailer, which you can find on this Twitter post (feel free to help us out with a like and retweet). For inspiration, we discuss the launching of our Coming Soon page ON STEAM!! Please check out our page and follow us on Steam and add us to your wishlist! We also discuss the legacy of inspiration left behind by author Ursula K. Le Guin and musician Dolores O’Riordan of The Cranberries. We wrap up inspiration with a look at Warbot’s game design focused YouTube channel! As always, we close out the podcast with a discussion about the games we’ve played recently. This week, that list includes: Bridge Constructor Portal, Marvel Puzzle Quest, and Horizon: Zero Dawn. If you want to support this podcast and Gears of Eden, a space game about sentient machines in search of their creator, check out our postcards, posters and other rewards on our donate page or on our Patreon. We’re now Twitch Affiliates, so you can support us on our channel there as well. And, as always, we’d love to hear from you on Twitter, Facebook or Instagram as well as our new Steam Community Page!